Twig Education's outstanding educational content has won numerous industry awards. See below a list of our awards and nominations. 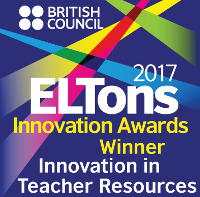 We are excited to announce that Tigtag CLIL, Twig Education's science platform for young English language learners, has won the British Council ELTons Award for Innovation in Teacher Resources. Tigtag CLIL is a dynamic tool for teaching English through science and geography content. With over 800 short films, plus activities, quizzes and games, it uses innovative methodology to make teaching and learning accessible and exciting for all. The British Council ELTons Awards are the only international awards that recognise innovation in English language teaching, making this prestigious award of particular importance to both Tigtag CLIL and Twig Education. Interested in finding out more? Visit award winning Tigtag CLIL. The judges said:​ "This online primary science news service presents quality information in a style that not only attracts children but encourages them to discuss the topic and to go home and research further. Our judges said that Twig Education and Imperial College London are to be congratulated on looking for a monetising model that will ensure that these resources remain free in the UK." The ​Education Resources ​Awards aim to encourage the raising of educational services & product standards throughout the industry and is recognised throughout the sector as ​an​ ​accolade of excellence. We are delighted to announce that Tigtag CLIL, Twig Education's science platform for young English language learners, won the prestigious EdTech award for International Digital Education Resource. After only 3 months since launching, Tigtag CLIL won one of the highest accolades in the industry. 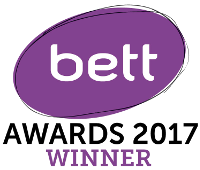 We are delighted to announce that Reach Out CPD, Twig Education’s first resource made in partnership with Imperial College London, is a Bett Awards 2016 winner! Reach Out CPD is a collection of 30 online courses to help primary school teachers cover the science curriculum. It is the first resource from Twig Education’s partnership with Imperial College London – one of the world’s leading science universities. At the 2016 Bett Awards, judges named Reach Out CPD as the Best Open Educational Resource. They added that the site “provides valuable user guidance” and “is a comprehensive resource for communicating a wide range of scientific ideas”. 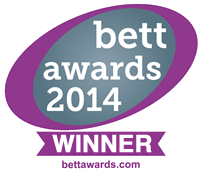 We are delighted to announce that Tigtag, Twig Education’s primary science resource, is a Bett Awards 2014 winner! Only four months after launching, Tigtag beat strong competition to win in the Primary Digital Content category. The Bett Awards are a celebration of the inspiring creativity and innovation that can be found throughout technology for education, and are an integral part of the annual Bett Show in London. 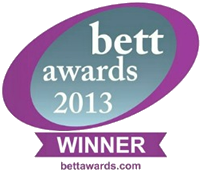 This is the third year in a row that Twig Education products have won at Bett with Twig Education being named the 2013 winner in the Digital Collections and Resource Banks category and the 2012 winner in the Secondary Digital Resource category. Twig Education has been named in the selection of ‘The Top 25 Most Innovative Companies within Digital Education’ in new report by Total Education, the global educational technology event company. The report was compiled by interviewing experts in the major education markets around the world including teachers, industry professionals and keynote speakers. Twig Education is one of only four content providers in the report. This latest acknowledgement adds to a growing list of accolades for the company. 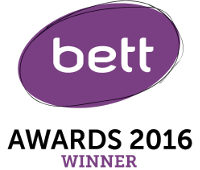 Twig Education has won many international education awards including the prestigious Bett Award for the past three years running. Everyone at Twig is thrilled to have won our second Bett Award at the international Bett show held in London. We beat strong competition to win in the Digital Collections and Resource Banks category. Judges praised Twig for a "well-designed and presented resource that can be used to support the curriculum as well as independent learning." Tigtag, Twig's new primary science product, has won a prestigious award only 3 months after launch. The Academics' Choice Awards recognise and applaud education products that embed higher-order thinking skills, have high-quality, varied content and an original approach. The expert panel of world-class academics highlighted Tigtag's content-rich videos, quizzes, lesson plans and easy-to-use interface. 'Tigtag is THE place to get your video based science information. Twig wins the Teachers' Choice Award, a competition run by the Learning Magazine, USA. The judging panel used the resource in a real-life teaching situation and awarded Twig Education for its quality, ease of use, instructional value, innovation and how the resource engaged the students. The award has been running for over 19 years and has become one of the most prestigious awards in the US educational market. Twig was announced as the winner at the Bett Awards ceremony in London on 11 January 2012. "What we like is that Twig Science is extremely easy to access, has a great user interface and very high-quality materials, covering a wide range of topics, some of them difficult to explain. It is very engaging for pupils. We liked the links between topics and the possibilities for cross-curricular links." Twig Science won the best secondary ICT resource and was described as an 'exemplar in the field of online teaching resources'. The Education Resource Awards focus on the resources, services and people that make a practical impact on learning and the day-to-day work of teachers in the classroom. Twig was also a finalist for the prestigious Innovation Award. Twig received a gong at the Learning on Screen Awards which reward excellence in the use of moving image and related media in learning, teaching and research. The British Universities Film & Video Council and a panel of expert film and academic judges selected the finalists and Professor Lord Robert Winston presented Twig with the Courseware and Curriculum Award for "an ambitious project" and its 'flexible structure and comprehensive content'. 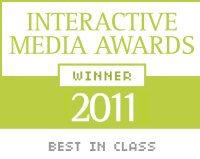 Twig's Best in Class award from Interactive Media recognised that the project met and surpassed the standards of excellence that comprise the web's most professional work. The awards are judged by leaders in web design, advertising, publishing, and other industries. The judging consisted of various criteria, including design, usability, innovation in technical features, standards compliance and content. Twig Science achieved a total score of 488 out of 500 for the five judging criteria. The Interactive Media Awards promote excellence in the design, development and implementation of websites from around the world. Twig Education Ltd is thrilled to have been nominated for International Digital Education Resource at the 2015 Bett Awards. This category rewards exemplary digital and online education resources that have a proven track record of success in the international education market and are able to show evidence that the product has aided teaching and learning in a schools and educational establishments internationally. Twig Education Ltd is thrilled to have been nominated for the Free Digital Content/ Open Education Resource at the 2015 Bett Awards. This category rewards exemplary free digital and online resources for teachers working in the early years, primary, secondary or FE and skills sectors. Bett Asia and the Infocomm Development Authority of Singapore (IDA) are very pleased to announce the inaugural BETT Asia and IDA: EdTech Excellence Award. Twig Education Ltd is pleased to be the only company with a European headquarters to be shortlisted for this award. The award is designed to celebrate and showcase some of the most innovative small to medium sized education technology solutions and companies operating in the Asian education space. 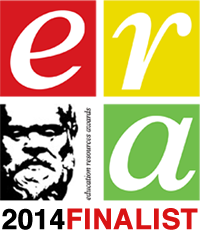 Following on from Tigtag's success at the BETT Awards, Twig Education is proud to announce that our primary science resource is a finalist in the Education Resources Awards (ERA). Twig Education has also been recognised for achievement in exporting award-winning films to over 50 countries, including China, Brazil, Spain and Kazakhstan. 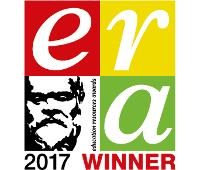 The Education Resources Awards (ERA) celebrate outstanding success for the suppliers and teaching professionals in the UK. Following on from our success at the BETT Awards, Twig Education is thrilled to announce that our primary science resource, Tigtag, has been nominated for a Learning on Screen Award 2014. The BUFVC Learning on Screen Awards are the only UK awards celebrating and rewarding excellence in the use of moving image and related media in learning, teaching and research. The awards are open to broadcasters, production companies, educational institutions, museums, publishers, charities and any other organisation producing educational media. Twig Education, along with a list of elite educational companies, was short-listed for the Education Investor Award 2013 for Exporting Excellence. EducationInvestor is the lead magazine covering Britain’s thriving education industry. The annual awards recognise and promote companies who provide excellence and innovation in their educational resources. An expert judging panel selected the finalists. Twig Education is shortlisted by EdTech as one of the 20 fastest growing, innovative e-learning companies. EdTech is a partnership between Edxus Group and IBIS Capital. The London-based firms ensure that e-Learning businesses receive the investment, development and advice they need to thrive. The panel of expert judges selected a range of organisations and individuals that made an outstanding contribution to the sector during academic year 2011-2012. The EducationInvestor Awards promote the stand-out companies in Britain's fast growing education industry. Twig was a finalist at the MEDEA Awards in its category and was interviewed by the MEDEA team. Watch Twig CEO Anthony Bouchier's interview. The MEDEA Awards reward innovation and good practice in the use of media (audio, video, graphics and animation) in education. 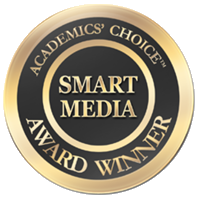 The awards recognise and promote excellence in the production and pedagogical design of media-rich learning resources. The finalists were chosen by a jury made up of 75 education and media experts from 15 countries. Twig Education Ltd. was formally known as Twig World Ltd.